This research project explores the nature of overheating events so that we may reduce the risks for Londoners, and keep our city running efficiently in future heatwaves. 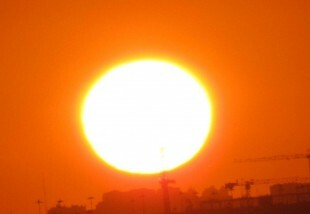 Extreme hot weather is considered by various experts as a significant risk for London. The existing Urban Heat Island effect and projections for increased average temperatures and more extreme hot weather event in the future mean that decision makers need to think about evidence based, risk management approaches to planning, designing and managing for the impacts of hot weather. Over the last 30 years, London has experienced some of the positive and less positive impacts of extreme hot weather – such as the heatwaves of 1976, 2003 and 2006 and the unseasonal hot weather of April, September and October 2011. Heatwaves have an impact upon a range of London’s sectors, including upon people’s health. Heat-related mortality currently accounts for around 1,100 premature deaths (or deaths brought forward) per year in the UK, with London, being the area worst affected. Heat is also estimated to cause over 100,000 patient days in hospital per year. However, these figures can increase noticeably for exceptionally hot years such as 2003 and 2006, which may be the norm by the 2050s. This project attempts to establish a generic flexible pathway that identifies significant hot weather related thresholds relevant to London and its urban systems. • national level decision makers who are responsible for policy, legislation and guidance relevant to heat risk management in the UK.